German heavy metal combo Primal Fear return in grand style with “Delivering the Black”. Following the immensely successful predecessor “Unbreakable” this time German eagles serve us a more gloomy atmosphere but, of course, this doesn’t mean that they abandoned their traditional formula of heavy guitar riffs and infectious choruses, commanded by recognizable vocals by one of the most renowned vocalists in the metal world, Ralf Scheepers. The brutal riffage propelling the opener “King for a Day” quickly sums up the essence and spirit of the album. This, of course, is nothing less than good old tour de force heavy metal adored by orthodox metal heads, but still all too often solemnly missed in modern metal. The album contains 10 numbers, each of them a stunner girded with guitarists Magnus Karlsson and Alex Beyrodt delivering the goods. Although the album is a streamlined effort, clichés are regularly avoided, a rare sight indeed with heavy metal bands nowadays. 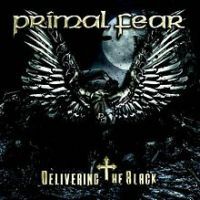 “Delivering the Black” is a revelation, proving that Primal Fear still have the edge on the opposition. The album sounds impressively strong by keeping things fresh and exciting, but then again, what else can you expect from a team of eminent musicians. A review copy of this album was provided by the record label Frontiers records.